Kolar Goi is Gaute Barlindhaug. As a member of the quartet Aedena Cycle he was a part of the second generation of the Tromsø techno and ambient scene. In 1994, they released the acclaimed "The Travellers' Dream" EP on the Belgium Apollo Records. A few compilations contributions and some rare live appearances followed, before the members went in different directions. A few years later, Aedena Cycle resurfaced as a solo project from Gaute Barlindhaug. 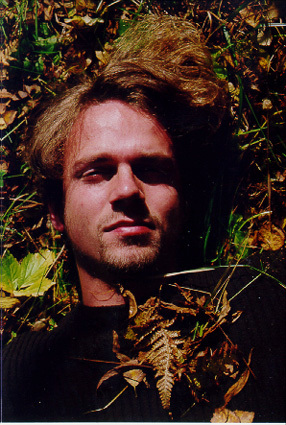 Two albums were released on Beatservice Records, but due to copyright reasons, Gaute Barlindhaug had to change his name. Kolar Goi continues much in the same style as the second Aedena Cycle album, with dark and arctic ambience mixed with elements from jazz, eastern flavours, strange rhythms and a unique soundscape, drawing parallels to Miles Davis as well as the underground electronica of today. Check out his own pages with exclusive tracks! "Mostly" written Gaute Barlindhaug. Additional programming by Gaute Barlindhaug. 3 tracks written & produced by Gaute Barlindhaug.